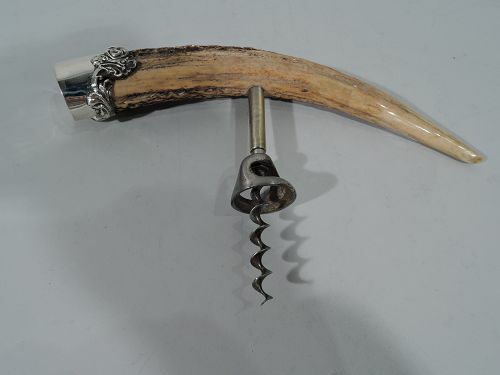 Browse Nelson & Nelson Antiques� collection of antique wine accessories below. We have many different items to choose from. 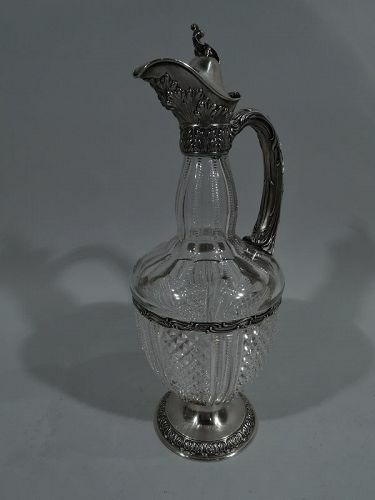 No matter if you are hosting a large dinner party and require a number of silver wine glasses or if you are having a romantic dinner, we have an antique piece that will fit perfectly for any occasion. 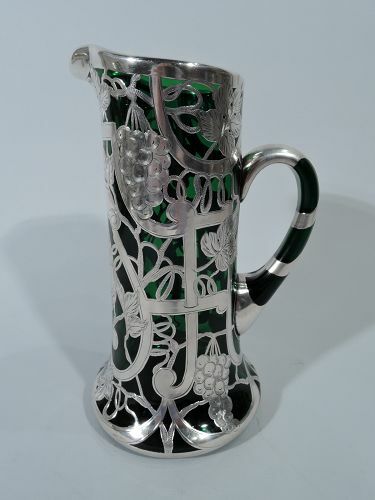 We also offer a large number of coasters, corkscrews, decanters, and more. Discerning wine enthusiasts know that nothing can compare to the taste of a perfectly aged wine. 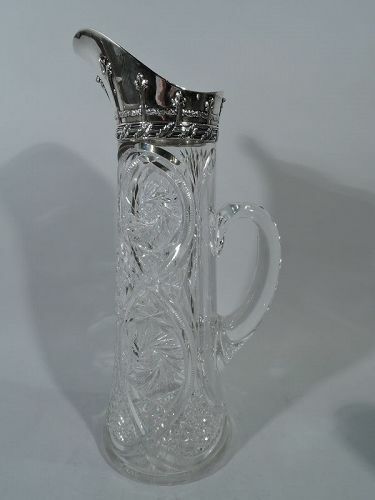 Shop our antique wine accessories to add more history and sophistication to your experience. If you have any questions about our products, please give us a call to learn more. 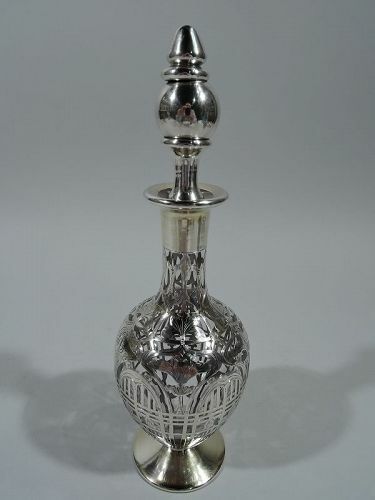 Classical sterling silver and brilliant-cut glass wine decanter. Made by Gorham in Providence in 1894. 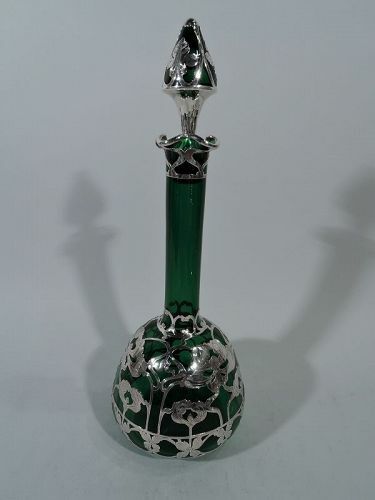 Glass ovoid bowl and bombe neck. Alternating notched flutes and diaper. 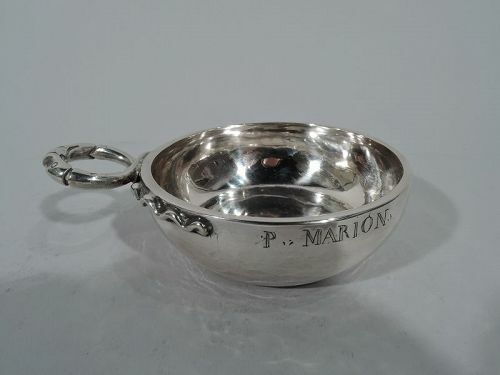 Sterling silver mounts: collar and helmet mouth, hinged cover with leaf finial, leaf-wrapped scroll handle, scrolled girdle, and raised foot with leaf-and-dart border. Interlaced script monogram engraved on cover. Fully marked including date symbol and no. S1936. Very good condition. 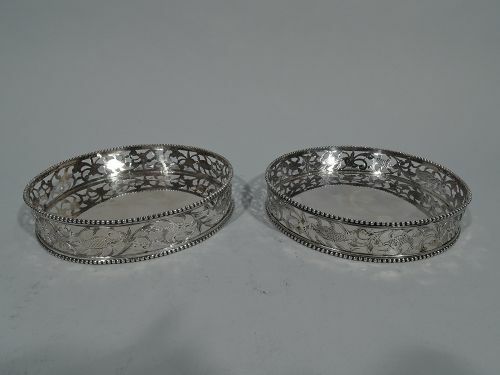 Pair of Dutch 833 silver wine bottle coasters. 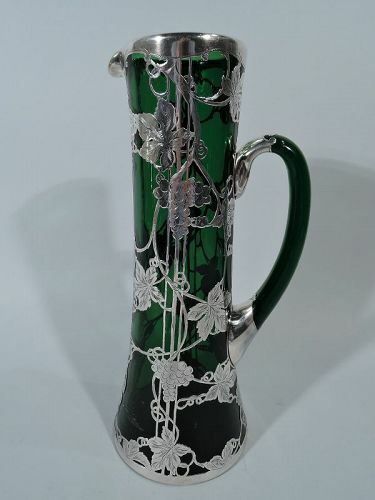 Each: Sides straight with pierced and engraved fantasy ornament: Flowers, leaves, and scaly piscine creatures. Beaded rims. Fully marked including date letters for 1890 and 1900. Good condition. 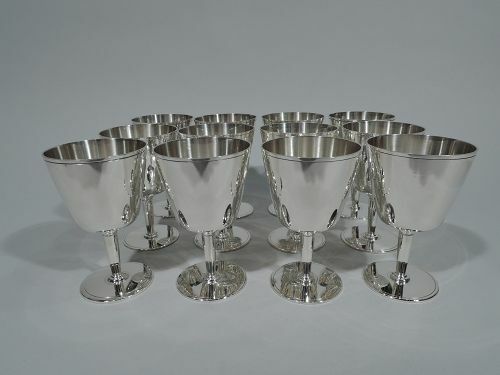 Set of 12 Art Deco sterling silver cocktail cups. Made by Tiffany & Co. in New York. Each: Truncated cone with tapering stem and flat circular foot. 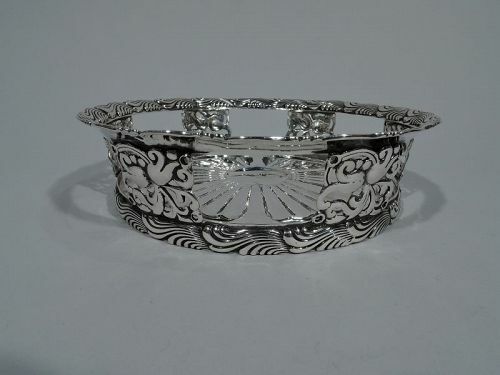 Incised bands on bowl rim and foot rim. Spare and functional. Hallmarks include pattern no. 21378 (first produced in 1929). Ten cups have director’s letter M (1947-56) and 2 have director’s letter m (1907-47) of which 1 with wartime star (1943-45). Very good condition. 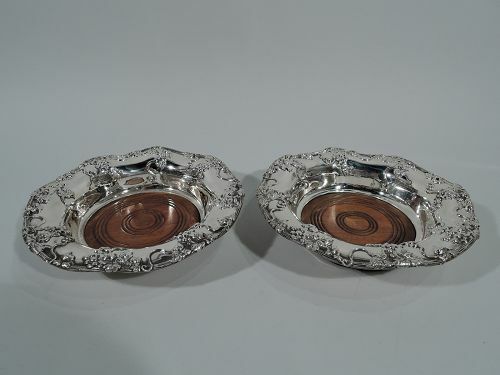 Pair of sterling silver wine bottle coasters. Made by Theodore B. Starr in New York, ca 1900. Tapering sides and wavy vine rim with applied grape bunches. Well is stained, turned, and felt-lined wood. Hallmark includes maker’s stamp and no. 1552. Very good condition.